Pearls are beautiful. There are faux (fake) pearls that look stunning and real pearls that look... well... less so. So why care whether or not you can tell real and fake apart? You will want to be able to recognize real pearls if you are buying them because precious gems can be a good investment. High quality genuine pearls cost considerably more than those made of glass or plastic. Also, real pearls can last indefinitely if given proper care, while fake ones are more susceptible to chipping and peeling. By "real," we mean both natural and cultured pearls. 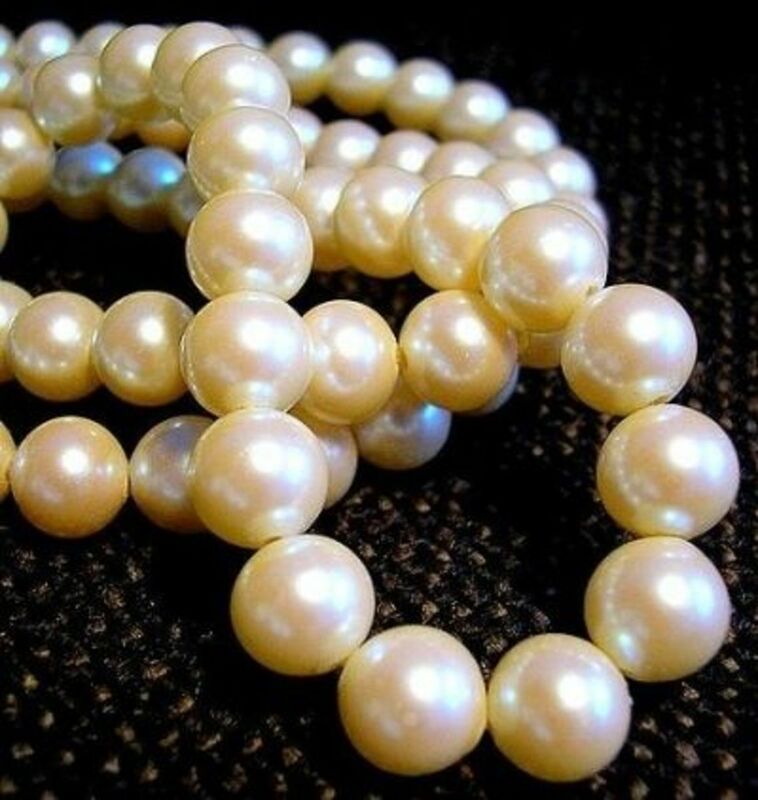 Before the 1920s, all pearls were found in nature ("natural"). Since then, we've learned how to "plant" an object in a bivalve's shell and grow "cultured" pearls that way. Although they didn't start naturally, cultured pearls are real, with outer coatings of the same material, and like natural ones, they take years to form. Both real and fake pearls can be beautiful, but it's important to know which type you have. Reputable stores may identify faux ones with terms like fake, simulated, faux, glass, plastic, synthetic, resin, artificial, or manmade. There are several different types of genuine pearls. There are rare natural ones that occur spontaneously in the wild and cultured pearls which are a combination of manmade and mollusk-made, fresh water (from rivers, lakes, ponds) or saltwater (sea or salt marsh), and those that come from a variety of different kinds of mollusks. There are shell pearls and genuine pearls which have had treatments applied to them, such as coatings or faceting. If you cut a pearl open, you will see its true nature. Natural pearls are comprised of layer upon layer of nacre. At the center, you'll find whatever object it was that got inside the bivalve and began irritating the creature. To protect itself, the bivalve coats that object (usually a piece of sand) with nacre. Cultured pearls usually have a shell (mother-of-pearl) core covered with thin layers of nacre (generally no more than half a millimeter per layer, usually much thinner). Fake pearls have a core with one or more layers of coating applied to them, which tends to flake away from the core upon cutting. Cutting a pearl can also reveal the nature of its drill hole, if present. Of course, for this test to be relevant, you need to be able to tell pearl-colored glass from shell (although plastic and resin are easier to discern). Also, you'll destroy the pearl, so it isn't recommended. If you really need to know whether or not your pearls are real or if they are natural or cultured, you are going to have to pay someone, preferably a certified gemologist, to do an x-ray. An x-ray will show the inside of the pearl, including variations in density, what caused the formation of the layers of nacre, and the characteristic shapes of drill holes, if present. This is an expensive test and therefore won't be feasible for most people. To use the tooth test, you rub the surface of the pearl over your teeth. Supposedly a real pearl feels gritty while a faux one feels smooth. The premise behind the test makes sense: Real pearls are made up of layers of nacre that are deposited rather like sand on a beach. The slight waves and irregularities in the nacre can produce a gritty or bumpy feeling against the teeth. On the other hand, many synthetic nacres are applied smoothly onto perfectly smooth beads, and thus feel smooth against the teeth. The test is pretty good for distinguishing rare natural pearls from glass pearls, but it isn't as good at identifying cultured pearls, which have fewer layers of nacre and may feel more smooth. Also, if the pearls are dyed, the dye can fill in natural depressions in the pearls, making them feel smooth. Plus, some synthetic pearls are made to look and feel like real pearls. Mabe pearls may have a protective coating applied to them, which makes them smooth even though they are genuine. The tooth test is a nice test, but don't base your judgement of authenticity on this test alone. If you think it's reliable, I swear I could find pearls that would fool you, both real and faux. This is my favorite test. It involves taking your pearls out into the sun or holding them under very bright indoor lighting. Unless they are very expensive, genuine pearls won't be perfectly matched under the sun. You will be able to see variations in their iridescence and color. If you focus specifically on the section of each pearl that reflects the light, you'll see variations in color, size, and shape. 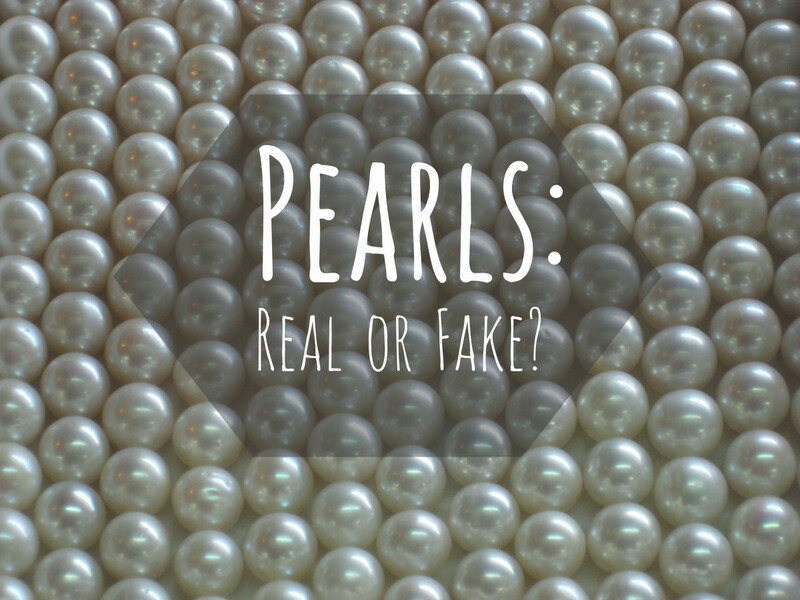 If the pearls are perfectly matched for color and overtones, they are most probably fake. If you are buying pearls from a seller who offers ones that are perfectly matched, the cost of a gemologist certificate (for a gemologist of your choice, not his) is a minimal part of the investment. It costs about $150 to have pearls tested, as opposed to several thousands of dollars for the type of pearls that warrant the test. As is true with diamonds, magnification reveals a lot about the quality of a pearl. With a loupe, you can see the characteristic ridges and irregularities of real pearls or the grainy smoothness of fakes. You can examine drill holes to see the interface between the nacre and what lies beneath it. You can also read any writing on the clasp or setting. Fakes tend to look flat in comparison to the real thing. There are exceptions, of course, with beautiful simulated pearls made by Swarovski and other manufacturers. Real pearls tend not to be perfect and may have bumps, ridges, pits, or bands in their nacre. They also may have concentric ridged circles around them, which inexperienced people may take for marks from molding of a fake (which is seen in the exact middle of all the pearls on strands of some faux pearls). 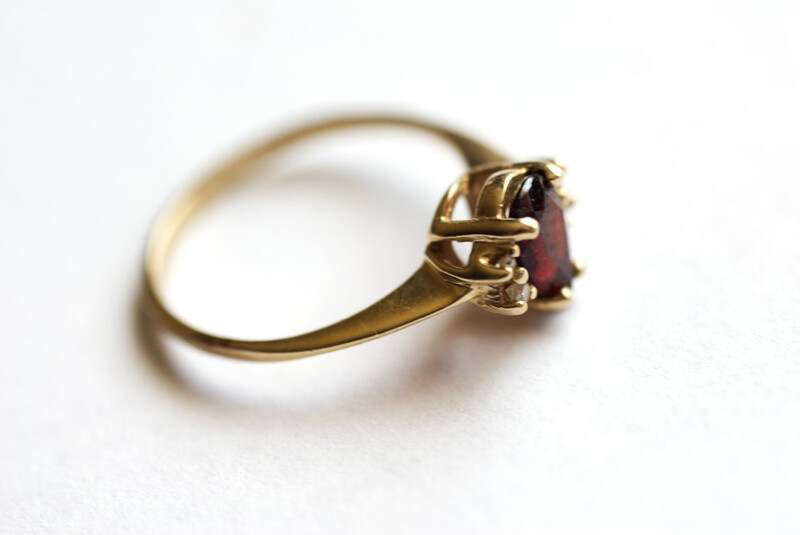 Some fakes are made to look irregular, and glass pearls often have flattened ends or slightly oval shapes. Real pearls vary in size and shape. They come in many shapes but tend not to be perfectly round, so a perfect sphere should be suspect. Expensive genuine pearls may be round, but you will have other clues to help you make a determination. Density is the mass of an object as a function of its volume. Real pearls are heavier for their size than plastic, resin, or hollow glass beads. Light pearls are fake, but good glass fakes will have the same density as real pearls. You can't tell real from faux on the basis of density alone if the pearls are heavy. Genuine pearls tend to warm to the skin much faster than glass ones. Resin and plastic tend to feel somewhat warm upon first contact. Real pearls tend to be drilled from both sides to meet in the center. If you could see the cross section of the pearl, the hole may appear wider at the outside edge than at the center (which can make stringing poorly-drilled pearls very challenging and is one reason many jewelers won't restring pearls that they didn't sell). Holes of real pearls tend to be as small as possible (with some exceptions), since the weight of a pearl effects its price (more hole means less weight and lower value). Inexpensive real pearls may be lower in cost because the drill holes are larger or not completely straight. 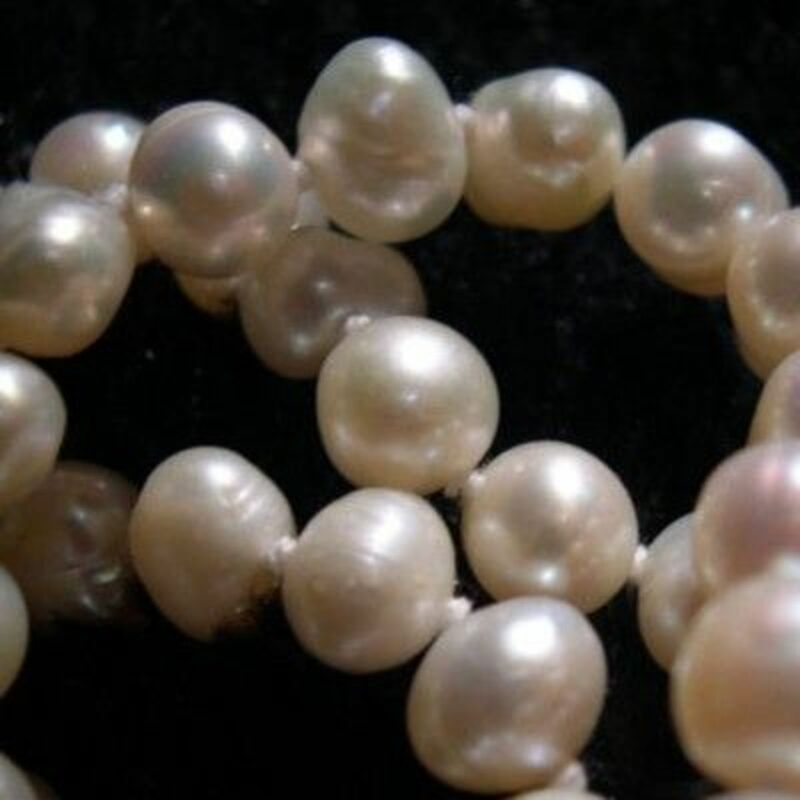 Fake pearls often have larger, possibly straighter holes than real pearls, but some fakes are made to have smaller holes, so that they can be knotted like their genuine counterparts. 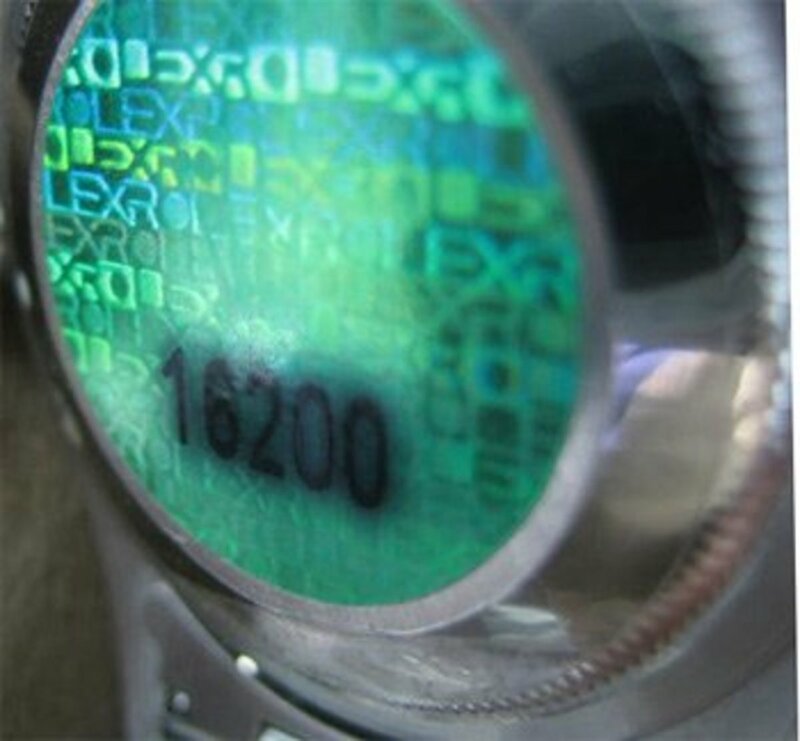 Inexpensive fakes may have holes of variable sizes on a single strand. The nacre of fake pearls is more likely to flake away near the drill hole than on a cultured pearl (it won't flake on a natural pearl). Either the flaking or the sight of a clear inner bead may clue you in to a fake. 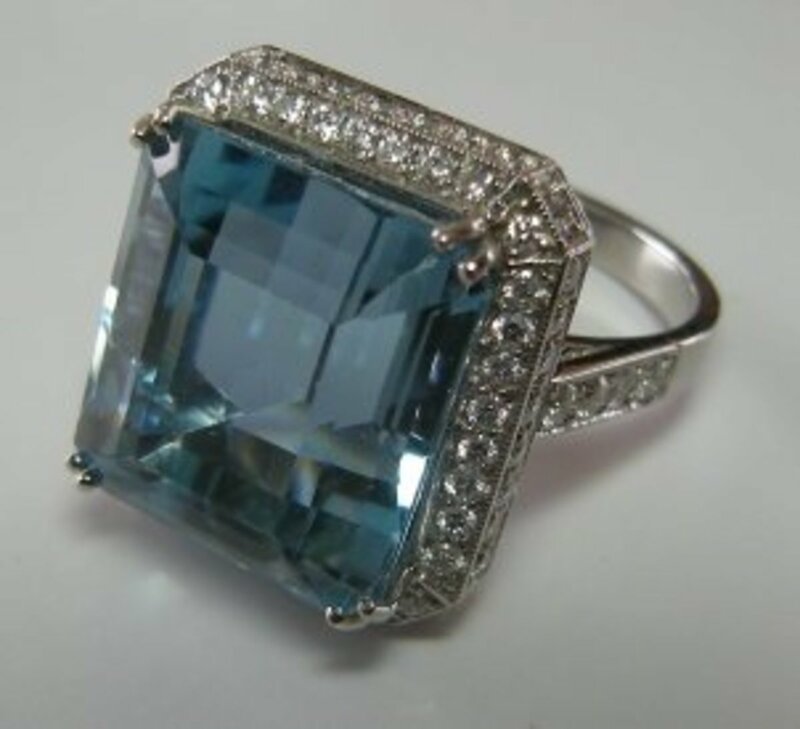 Most fakes have pearl-colored centers, so the center color may not help you. The holes of fakes often form a shallow bowl shape, while the holes of real pearls are more likely to be flat. Examining the hole is also a good way to detect signing of dyeing. If you see the Mona Lisa in someone's home, you can be sure it isn't the original piece of artwork. Similarly, you can gain valuable clues about a pearl's authenticity by looking at its surroundings. In a finished necklace or bracelet, real pearls are more likely than faux to have knots between each pearl. Real pearls are more likely to have settings of gold, silver, or platinum. 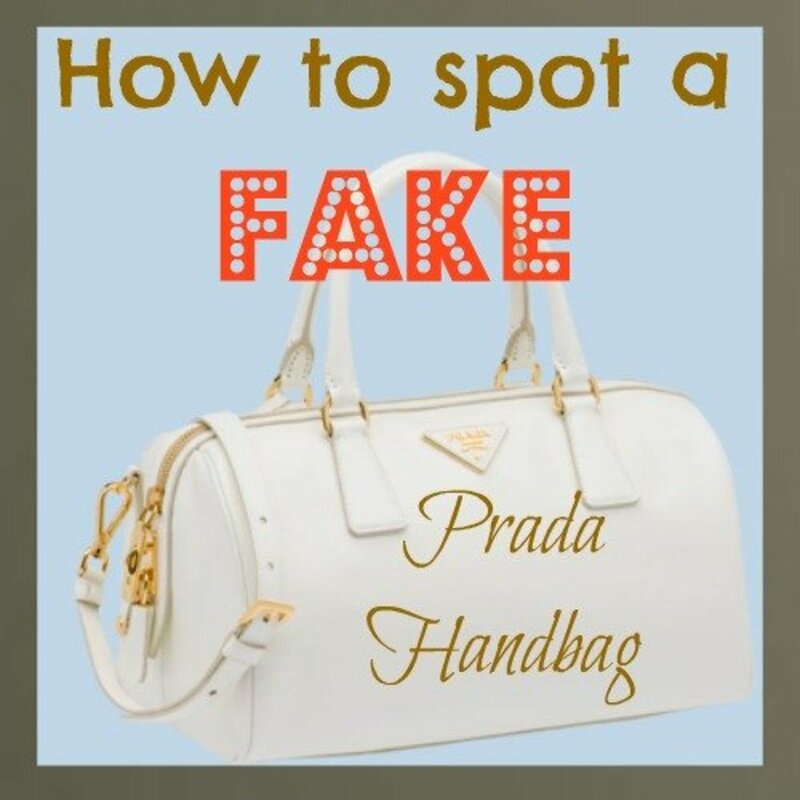 Some fakes have high quality settings, and some genuine pearls have cheap settings; even so, the setting can provide clues to help you reach a conclusion. 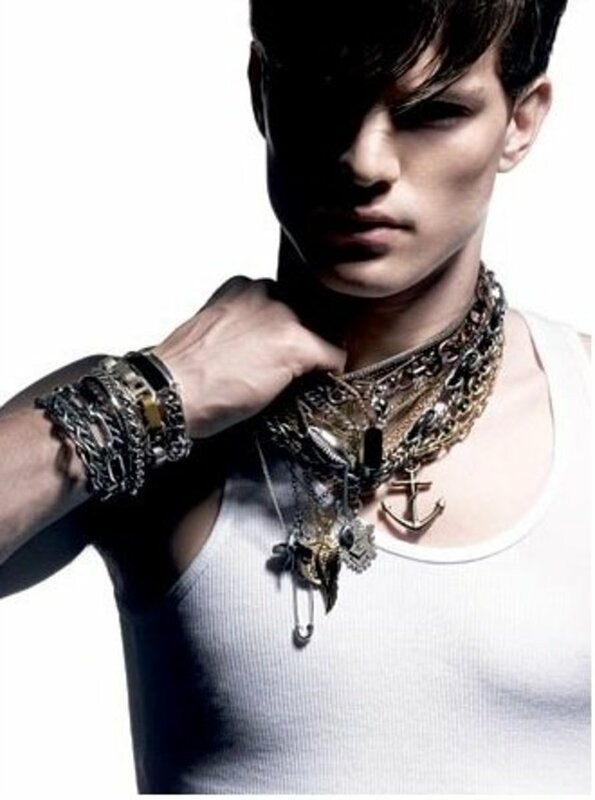 You can examine clasps for stamps or engravings in the metal or for magnetism (indicating the clasp or setting contains iron as opposed to a precious metal). The clasps of genuine pearls tend to have safety mechanisms, like fish hooks, but some are sold with other types of clasps, usually as an accommodation for a person who might have difficulty with opening/closing the clasp. It isn't a hard-and-fast rule; however, insecure clasps are not usually seen on good pearls. You can identify the origin of certain pearls by the color they glow when exposed to ultraviolet (black) light. Do you think you could successfully tell the real from the fake now? 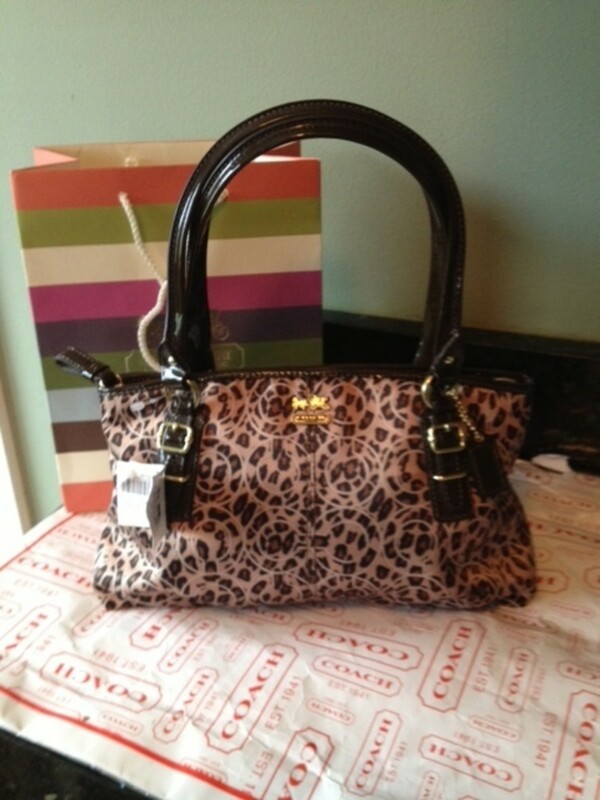 Still having trouble.mine has a fishhook mechanism. It is not magnetic. Feel quite heavy, they reflect off the Sun. They have some kind of markings on them which I don't recognize.they feel quite gritty on the teeth...But I still don't know if there reel. Super valuable information on pearls. Great lens!! nice info...to most people, all pearls appear the same. Very informative and I like the way you present your material-- not all cluttered up. I still doubt the 64" strand of natural pearls I bought are real. There are very few irregularities in the shape of each pearl and there is no clasp. It's one continuous strand. They do feel gritty when using the tooth test. I really like them but I'd like to know if they're real or faux. I am lucky enough to have a string of pink pearls. I feel very special when I wear them. I am checking some I have. I thought the knotted ones was a good indicator of "real". Now I am not sure. The ones I thought were real scraped up when I bit them?? when were artificial pearls first introduced? my boyfriend bought me a pearl necklace from a man who live near the sea, and we called that man as the Badjao man, and i really want to know if it is real pearl or fake pearl, how would i know if it is real? i found a few pearls in my backyard and they had the shape of a leaf on the back and I know that this takes thousands of years for this to happen so I wanted to know if they are real. I have a black pearl, and it cracked aa the way around. Then there was an outer layer that fell off. It revieled a solid white center. It looked like the black just fell off. Does a real black pearl have a white center? Will a real black pearl break like that? Also the remaining black part is changing it's color. So my question is did I get ripped off? Is my pearl fake? VERY interesting lens! I adore pearls and have many.. this was right up my alley! As an avid yard saler i came across both sets, faux and real today. It was amazing. I am truly glad to have a relationship with my jeweler who informed me that the first set i bought today was fake or manmade. She then walked me through the "tooth test" and gave me her store's pearls to see the difference. I had the tag and the box the pearls came in and i took them off before i went. I also looked up the company. While i'm sure there are reputable dealers of jewelry on line, the company that sells the brand of pearls i bought is a,"buy a bead" company. While they pass them off as "real" they also do state they are MANMADE!! This makes me even more skeptical of internet companies who try to sell jewelry at the prices in which, if you know what you're looking for, you could just get the "real thing". I took them back and demanded my money back. Needless to say the ppl were pissed when i told them they weren't real, (they demanded they were), but also quickly gave me my money back. At the next yard sale, i had no idea i'd be able to try my hand again. Are you kidding me? Lo and behold, all kinds of strands of pearls of shapes and sizes, and beads of color hung on a cork board. As i used my newly formed eye and tooth, i found a strand. I bought them, 2 dollars. Took them back to my jeweler and these, were freshwater pearls. Not bad for a hard days work. To end this, this was a great read, short and to the point. I really like having an additional way to tell if they're real or not, the sunlight test. So awesome. Thank you so much for this article!!! in the sunlight I found a tiny black dot on a few of he pearls and also the clasp has been incraved with letters yhey look like real they look totally different from my fake ones. This is a helpful and informative lens! Blessed by a SquidAngel. my grama has just left 4 sets of pearls to me one of the sets is fake and i can tell it apart from the other sets, the fake pearls look silver and the real are creamy and heavier in weight!